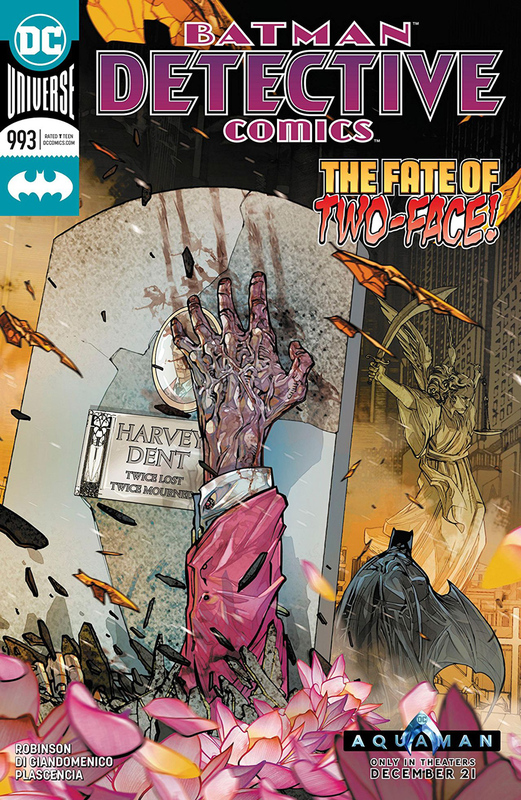 In Detective Comics #993 (written by James Robinson and penciled by Carmine Di Giandomenico), Harvey Dent is mourned as a hero after losing his life battling Kobra with Batman. The Caped Crusader, however, is not convinced that Two-Face is really dead and uncovers his ruse. The storyline ends with the two foes battling each other once again. With Two-Face, always expect the double-cross! The Barbara Gordon of the future has her long-awaited rematch with the Joker in Batman Beyond #26 (written by Dan Jurgens and penciled by Brett Booth). The reunion is pretty brutal, as the former Batgirl sends the Clown Prince of Crime falling through a glass window. Shaking off his defeat, the Joker is intrigued when he finds out there’s a new Robin. 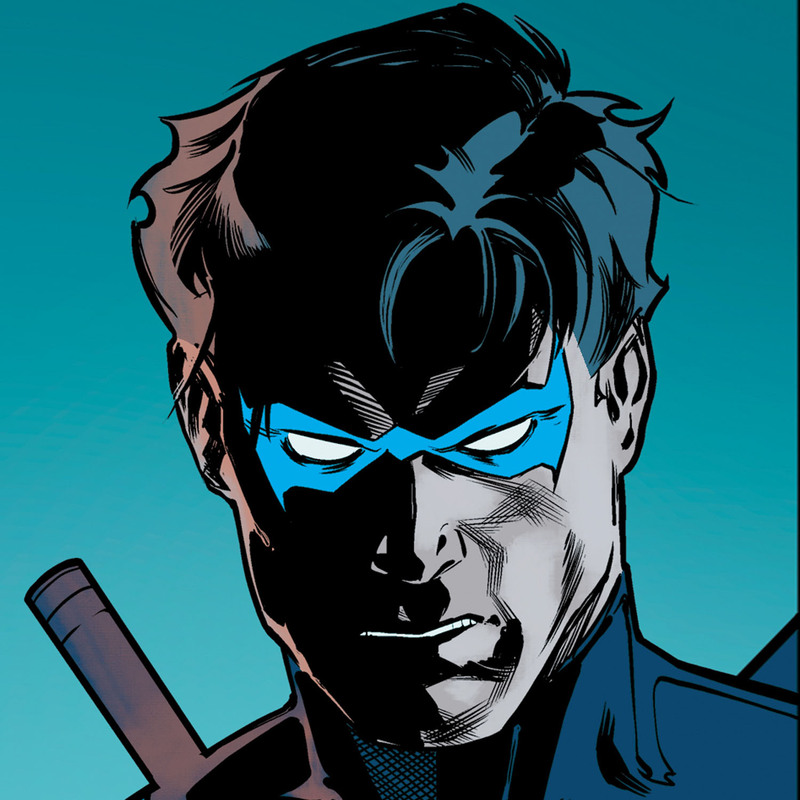 Staring at his old crowbar, he gleefully imagines himself murdering another Boy Wonder. Let’s hope the latest is ready for this confrontation, because the Joker plays for keeps! 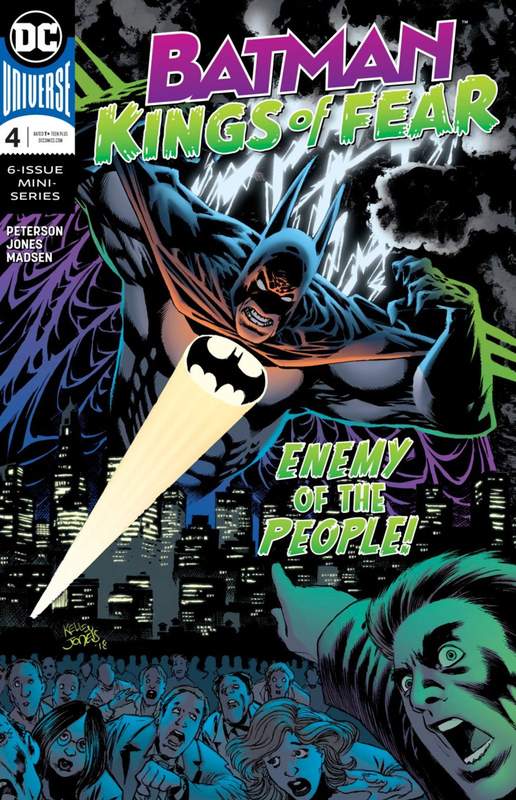 The Dark Knight undergoes a therapy session from hell in Batman: Kings of Fear #4 (written by Scott Peterson and penciled by Kelley Jones). Taking advantage of the drugged Batman, Dr. Jonathan Crane aggressively probes the psyche of his reluctant patient, learning all of his vulnerabilities along the way. What is Batman’s biggest desire: to save every child, a task he knows is impossible. 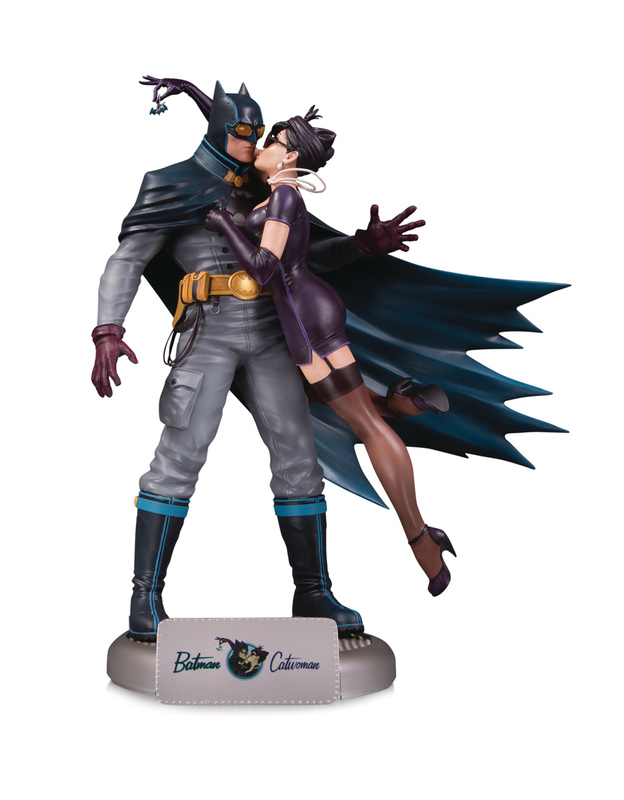 Is his true love Catwoman or Talia? It turns out Gotham City holds the biggest place in Batman’s heart. Crane keeps on probing and Batman keeps on exposing secrets he isn’t even aware of. Will Batman be able to break free from the Scarecrow’s grip, or has his mind been unraveled too far? The mystery of the Sanctuary murders deepens in Heroes in Crisis #3 (written by Tom King and penciled by Clay Mann and Lee Weeks). Flashbacks reveal the final moments of tranquility before the haven was assaulted…but is there more going on than meets the eye? It appears that Harley Quinn has gotten mixed up in the attack, but what role does Booster Gold play? Whatever the case may be, the Dark Knight has one of the most emotionally crushing mysteries ever on his hands. Barbara Gordon crashes an art museum gala in Batgirl #29 (written by Mairghread Scott and penciled by Paul Pelletier). Realizing the party is being targeted by Grotesque and Wyrm, Batgirl goes undercover at the event before the villainous duo can pull off their heist. Wyrm plans to replace the art with fakes, then blows up the museum to cover his tracks. Batgirl appeals to Grotesque’s good nature, and he gives her the detonator once he realizes he’s lost the battle. 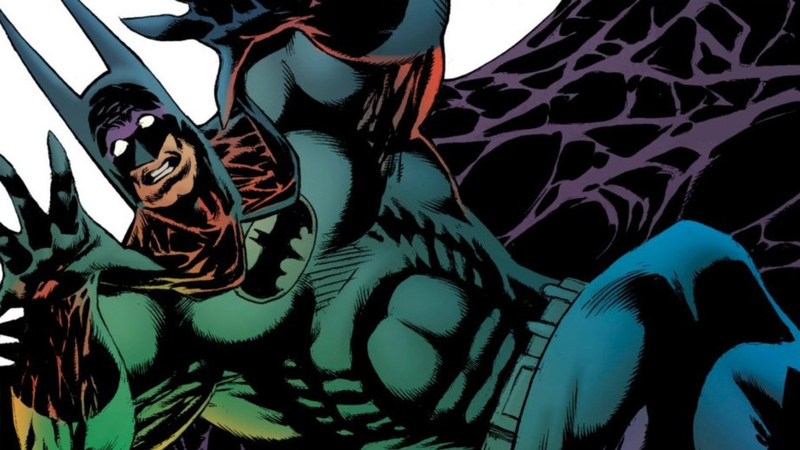 Even though Batgirl is able to save all the citizens, Wyrm still gets away with the art. The issue ends with a shocker for Commissioner Gordon when the FBI arrives to talk and has some serious questions for him. The wait for issue #30 is going to be a nail-biter. In case you missed the Young Justice: Outsiders trailer that debuted this week, we recommend checking it out immediately! Remember Batman’s covert ops group the Outsiders from the 1980’s? 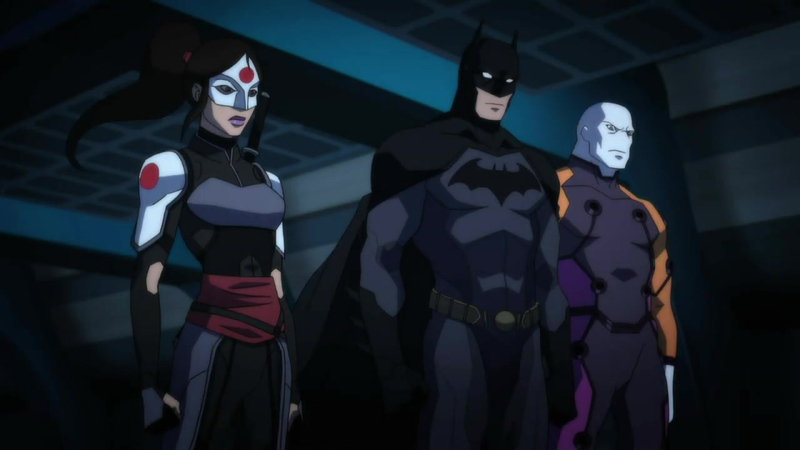 It looks like they’ll be featured players in the new season of Young Justice, premiering January 4th. If the cold weather is keeping you indoors this winter, Rocksteady Studios has released a compilation that should keep Batfans occupied while they’re stuck at home. The Batman: Arkham Collection bundle features Batman: Arkham Asylum, Batman: Arkham City, and Batman: Arkham Knight, as well as all of the skins plus the DLC add-ons. Do you want to play the old Arkham games wearing the Adam West or Michael Keaton suit? The graphics for the older games have also been enhanced for next gen consoles. Is anyone else ready for a gaming marathon? NEXT WEEK: Penguin has ticked off Bane, and Batman is the only one who can save him. Nightwing’s battle against Scarecrow continues, Red Hood and Batwoman team-up, and Damian Wayne faces his future! Be sure to check back to see how it all unfolds! Same Bat-time! Same Bat-channel! What was your favorite Batman event of the week? Let us know in our Community!